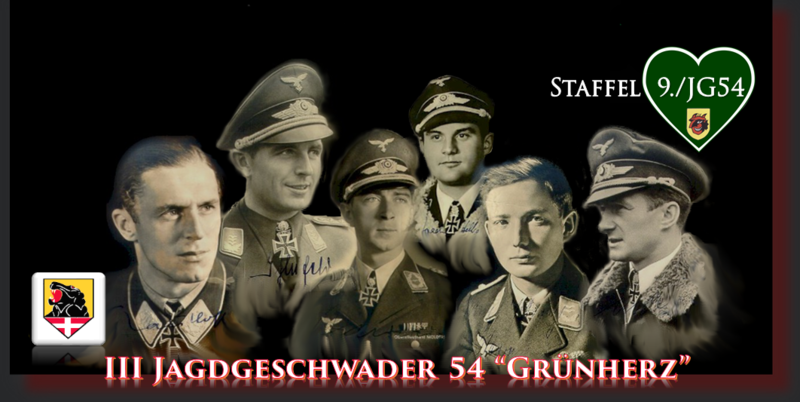 The 9./JG54 Staffel is a newly formed unit dedicated to recreating as best we can through the use of computer simulation the historical contribution and sacrifice that these men underwent in the hostile skies over Western Europe in 1944-45. The combat sim of choice will be the IL-2 Great Battles addition that will enable our cyber unit to form up and assemble for combat within the online war arenas. The III Jagdgeschwader 54, 9th Staffel was the last unit to be equipped with the new FW-190 Dora and was tasked with providing support and protection for the ME 262 unit under Kommando Nowotny. In addition, the unit operated throughout the northwest areas of Europe. The 9./JG54 was attached to the III Jagdgeschwader and will be our assigned unit. Our members will be using persona based immersion and will submit AAR's (After Action Reports) after every sanctioned "Dead is Dead" mission.